Maintaining that position led Jack Fairchild Jr., the company’s vice president of sales, to the decision that it was time to move from DC technology to AC technology. Making the change would require a major investment for the company, but Fairchild was determined to be the first to launch an AC battery-powered scoop. Fairchild believed the key to the project’s success was to build the right team. At the beginning of the project in 2008, Fairchild brought together his employees to discuss who they should partner with. They wanted to work with companies that had engineering and technical knowledge, good communications skills and the willingness to be a member of a team. As a result, Fairchild chose EnerSys for the battery, Magnatek for the drive and Baldor for the motors and gearbox. Baldor engineers Nick Marsh, strategic account executive for the mining industry, and John Clark, senior customer order engineer for specialty gearing, led the design team effort for product development. With Baldor’s history in the mining industry and experience in moving from DC to AC technology in other projects, both engineers were confident they were up to the technical challenge. However, according to Marsh, the hardest and most critical part of the project comes at the very beginning. From a motor perspective, that means detailing the exact torque and speed requirements. And because the motor would be controlled with a variable frequency drive (VFD), the Baldor team worked closely with the drive manufacturer to optimize performance. According to Marsh, the traction motor developed for Fairchild is based on the Baldor•Reliance RPM AC motor design with a good many enhancements. With motor specifications in hand, the gearing team began its design work by starting with an existing gearbox base and then building from there. Engineers created a new gear ratio to meet Fairchild’s exact needs for torque and speed, building a box with new gears and bearings strong enough to handle the force. For Clark, the bigger design challenges came from some special requests by Fairchild. “The company wanted us to design the gearbox so it could be used on either side of its dual tram scoop,” Clark said. “This universal design means they only need to stock one gearbox because it is interchangeable. A box that can be flipped gives them the flexibility they need to manage their inventory.” One other feature Fairchild wanted was a self-contained brake directly mounted on the gearbox. In the past, Clark explains, brakes were mounted with brackets hanging off the side of the box and taking up a great deal of space. Because this was a new design, the project team attached special instrumentation on the box to capture data, while Fairchild ran the completed unit under test at its facility. Clark said the data was critical for him to understand what the gearbox was doing and how it performed under test. However, Clark was not content with just collecting and studying data. “I visited Fairchild after the test was finished and tore the gearbox down so I could examine and evaluate it myself. I looked at the gear patterns to make sure there were no issues, and I did the same thing with the bearings—making sure there was no unusual wear. What I found was that everything looked great,” said Clark. 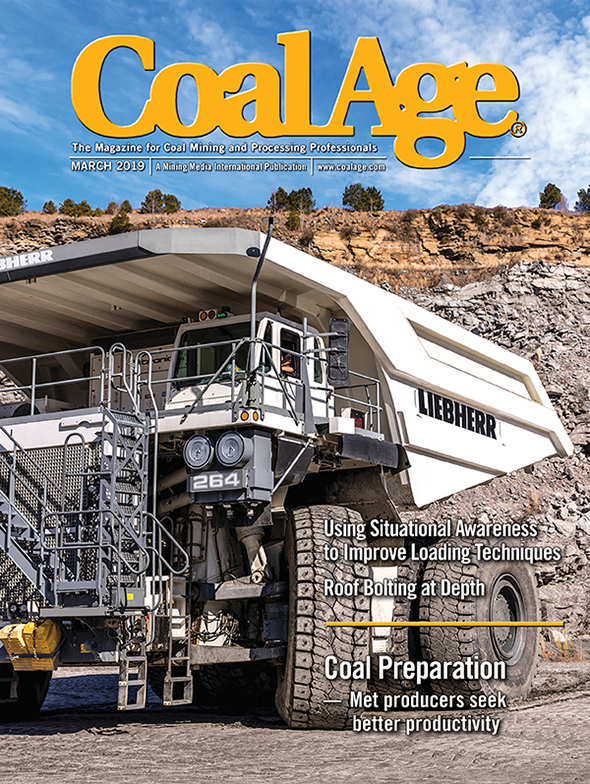 While the AC powered scoop performed beyond expectations at the Fairchild factory, Ken Mosley, Fairchild’s vice president of customer service, was eager to get some running time on the scoop at an actual mine site. Coal River Energy agreed to take a unit and use it at one of its coal mines and provide feedback on what it thought of the new technology. Fairchild achieved his goal of being the first to introduce AC technology to battery-powered scoops. He says he never doubted the team could pull it off because he involved all of the right people. So, what comes next?